As one of the most famous and identifiable pieces of sculpture in the world, the Venus de Milo would be hardly recognizable if restored to her original state. 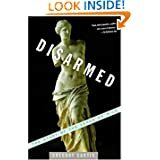 She was created from a block of marble by a relatively unknown wandering artist by the name of Alexandros of Antioch, identified from an inscription that was once part of the statue’s plinth – reversing the previous belief that credited the famous Athenian Praxiteles for the work. The Venus de Milo is a depiction of the Greek goddess Aphrodite, created slightly larger than a life-sized human at 203 centimeters high. She was sculpted using a combination of Greek sculptural styles: although created during the Hellenistic period where there was a focus on realism, her mask-like face and perfect proportions are reminiscent of the idealistic Classical era. Although her arms and most of the original base have been lost, disallowing any certain knowledge of what the statue was actually meant to depict when it was created, there is speculation that it was meant to be a representation of Aphrodite holding the golden apple that was presented to her by Paris of Troy from the well-known story of the Trojan War. If this was the case, it would have also been a pun on the island’s name – Milos – which meant ‘apple’ in ancient Greek. There were several fragments of a left arm, left hand, and what seems to be an apple found near where the statue was buried, which are thought to be parts of the original arms. What most people do not realize when looking at the Venus de Milo is how she would have appeared in ancient times – the image would have been far, far from the creamy white marble that remains today. Instead, the statue would have been painted in a gaudy display of red, yellow, blue, green, and any other color that could have possibly been created at the time. Not only that, but she would have been covered in jewelry and situated inside a wall niche, probably at a gymnasium. 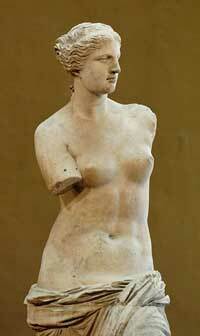 This was standard practice for Greek statues, and was actually meant to help them appear more lifelike and appealing! Of course, all the jewelry has been long lost – but the evidence for their existence remains in the small, drilled attachment holes on the statue’s ears, wrists, neckline, and at the top of the head. Tomorrow: All hail the sacred bean! At the oldest known burial site in Mesoamerica, archaeologists discovered a set of skeletal remains that appear to be evidence of the earliest known dental work on this side of the world – which probably caused the patient excruciating pain, and in all likelihood leading to his death. The teeth from the burial were filed down over an extended period of time, for the purpose of accommodating a second set of teeth – namely, a ceremonial set of ‘dentures’ that would have been inserted into the mouth along the upper jaw. According to forensic analysis done on the entire skeleton’s jaw, the bottom row of teeth was worn down normally, while the upper teeth were intentionally filed to make room for the denture – not to mention that the denture was most probably the palate of a jaguar or wolf. Although the look of fangs while wearing this set of false teeth certainly would have intensified the man’s ceremonial appearance, in order to fit the animal denture inside his mouth, his own teeth were actually filed down to the nub – resulting in the exposure of his pulp cavities. Unless there was use of a local anesthetic – some herbal solution, perhaps? – this process would have been excruciatingly painful, and the exposed area would have allowed an infection to develop inside one of the exposed cavities, eventually leading toward his death. The rest of the burial revealed the skull, leg, hand and foot bones of a healthy male who died somewhere between 28 and 32 years old. During his life, he was around five feet and one inch tall, and intriguingly enough, the stress and wear on the bones was surprisingly low. This indicates that the man led a highly sedentary life, regardless of the fact that the burial site was at a high altitude – 8,860 feet – that would have required a significant amount of physical exertion to carry out simple daily routines. Thus, the denture man must have been a member of the community who was carefully cared for, probably to ensure he could fulfill a ceremonial role. To add fuel to the theory, it should be noted that the burial was actually located under a cliff wall filled with elaborate paintings of humans dancing and hunting. The iconography of the painting is also consistent with other known Mesoamerican artistic symbols. 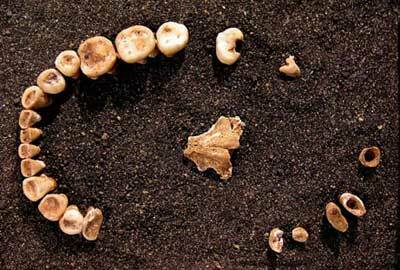 While the thought of filing down one’s teeth for the purpose of wearing fang dentures is different enough in itself, the burial is important for another reason as well: before this find, there were no other burials or archaeological remains to suggest a social hierarchy in Mesoamerica during this period. Although one burial certainly isn’t enough evidence to draw full conclusions, it is an intriguing insight into a period of Central American history where very little is currently known. Tomorrow: A naked lady you’re supposed to look at. According to the archaeological record, humans came to the British Isles 700,000 years ago – which is approximately 200,000 years earlier than anyone had thought. However, it was only about 10,000 BC that permanent settlements began to be established. How is that possible, if humans were in the area thousands of years before that? Essentially, the ancient humans who tried to make their home on the British Isles were foiled by the weather – and it happened seven times! On eight different occasions, human migration from Europe to Britain was attempted as the climate became warmer. As the increasing warmth caused the land’s ice sheets to retreat northward, the humans were able to take advantage of the lower sea level before the ice completely melted, enabling them to cross to Britain via land bridges that are now underneath parts of the North Sea. The problem was, the temperature of the area refused to remain constant, causing the ice sheets to return several thousand years later and forcing humans out of UK. In fact, it appears that in many cases, the ice sheets traveled as far south as London, pushing the humans south and east – which explains the wide selection of ancient tools and artifacts found along Britain’s east coast. 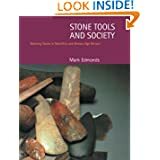 The earliest evidence for human occupation was found at the site of Pakefield on the east coast, where over 30 flint tools were discovered, along with a selection of plant and animal fossils. These fossils actually show that the climate in this region was more like the Mediterranean than anything else, and the natural fauna actually included animals like hippopotamuses and lions! These humans would have been very early hunter-gatherers. 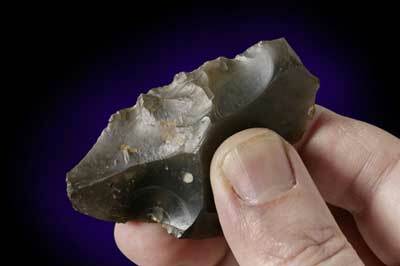 The second wave of humans had tools that were slightly more complex, such as hand axes. A number of these tools, along with hundreds of butchered animal bones, placed this east coast site at about 500,000 years old. Again, these people were pushed out when another glacial period began – and the pattern repeated several more times over. Then around 60,000 years ago, a species of human known as the Neanderthal lived on the British Isles by hunting big game – and while there is a good amount of evidence for their highly successful hunting and subsisting practices, they were not good at tolerating cold weather. Eventually, the cold climate returned and forced the Neanderthals out for yet another ice age. The most recent ice age on earth was around 20,000 years ago, and by 10,000 BC, the ice retreated – and the eighth wave of settlers ventured forth toward Britain. This was the earliest stage in the arrival of the modern British population – and presumably, it will remain habitable for several thousand years more… or at least until the next ice age comes. 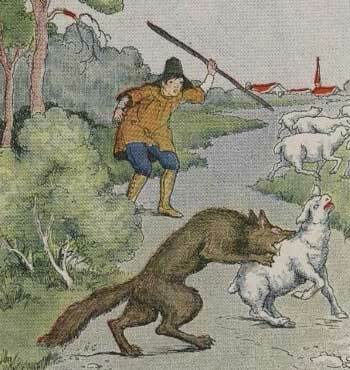 Clearly, Aesop’s most enduring legacy was his fables. Though the majority of his personal history remains unclear, many of his tales have survived for thousands of years, often read to children at bedtime or to teach them a moral lesson. However, Aesop’s stories were never meant for children – in fact, more often than not, he used them in a public forum to win an argument or make a point, and it is likely that he told many of his tales while conversing with some of the greatest Greek philosophers of all time. 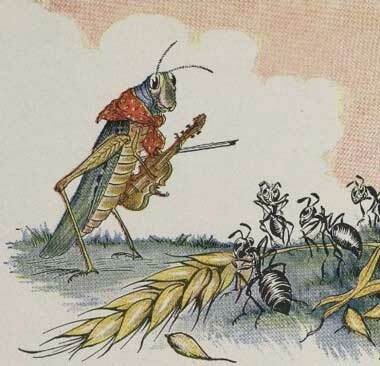 The Grasshopper and the Ants: A grasshopper (or cicada, in the original Greek) spends the warm months singing and playing while the ants work for months to store food for the cold winter…when winter comes, the grasshopper begins to starve, while the ants reap the benefits of their hard work. Moral of the story: Hard work pays off, while improvidence is peril. The Boy Who Cried Wolf: A bored shepherd boy amuses himself by calling “wolf” so that the villagers will run to help him… only to find that it’s a false alarm. When a wolf actually comes, no one takes his cries for help seriously, so he loses his sheep to the wolf. The Goose That Laid the Golden Eggs: A farmer and his wife are fortunate to have a goose that lays a golden egg every day, but soon they begin to think they aren’t getting rich fast enough… so, thinking the goose must be golden inside, they cut him open to get all the gold – only to discover he is just like any other goose. Now they can neither get rich quick nor enjoy a bit of wealth each day. Moral of the story: Greed destroys the source of all good. Much wants more yet often loses all. The Tortoise and the Hare: One day, a hare mocks a slow-moving tortoise – so the tortoise challenges him to a race. The hare pulls ahead quickly in the race and decides to take a nap, confident in winning. But, when he wakes up, he discovers that the slow tortoise has already won.